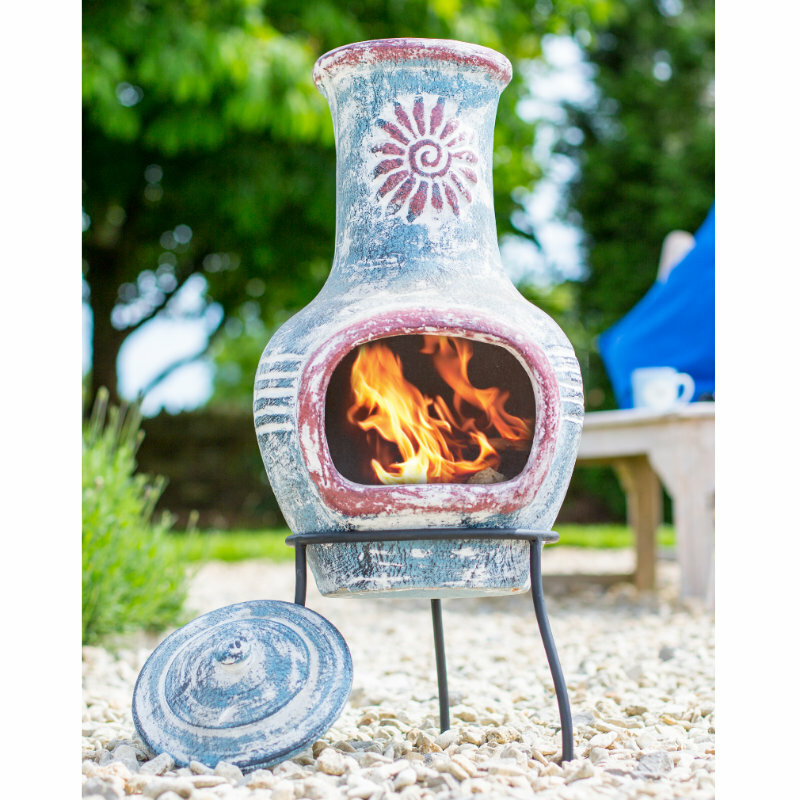 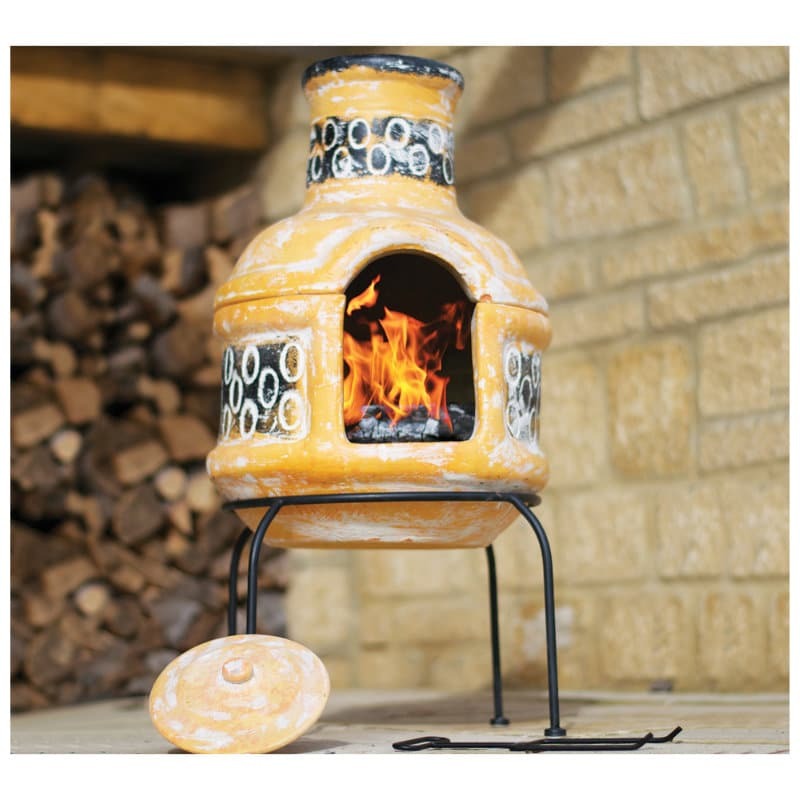 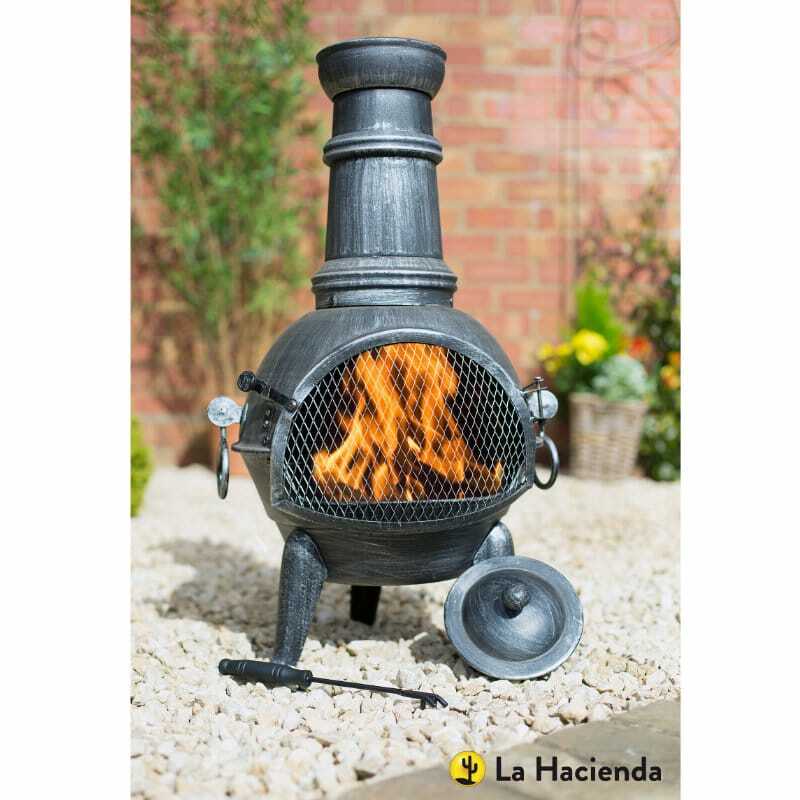 Our classic style Swirl Small clay chimenea features a flower motif on the flue with additional decoration around the body. 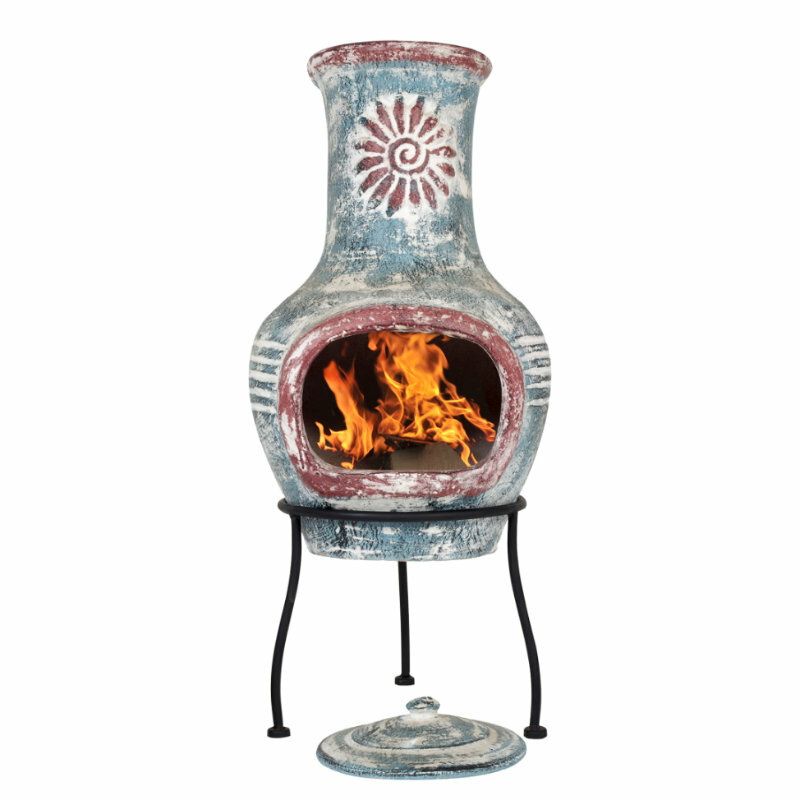 Hand finished in sea blue with deep red detailing, this chimenea is well suited to the more modest patios, gardens and terraces or a seaside and coastline setting. 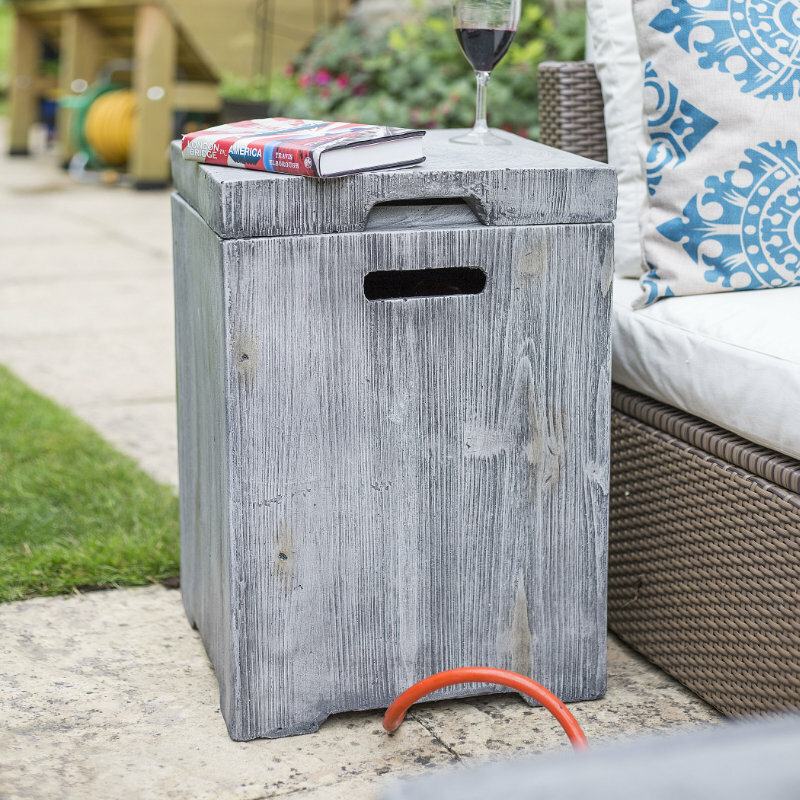 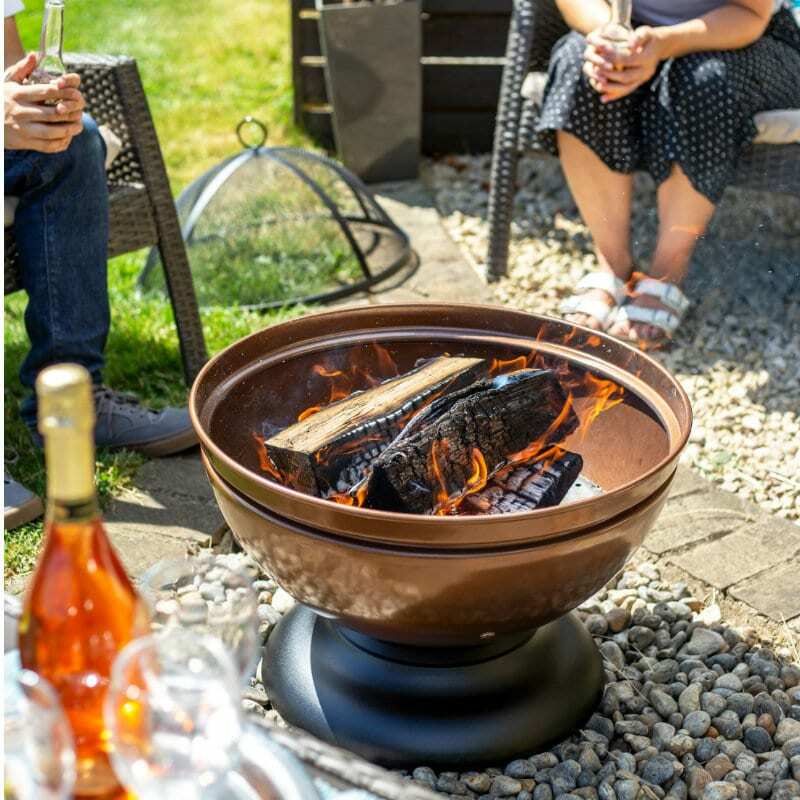 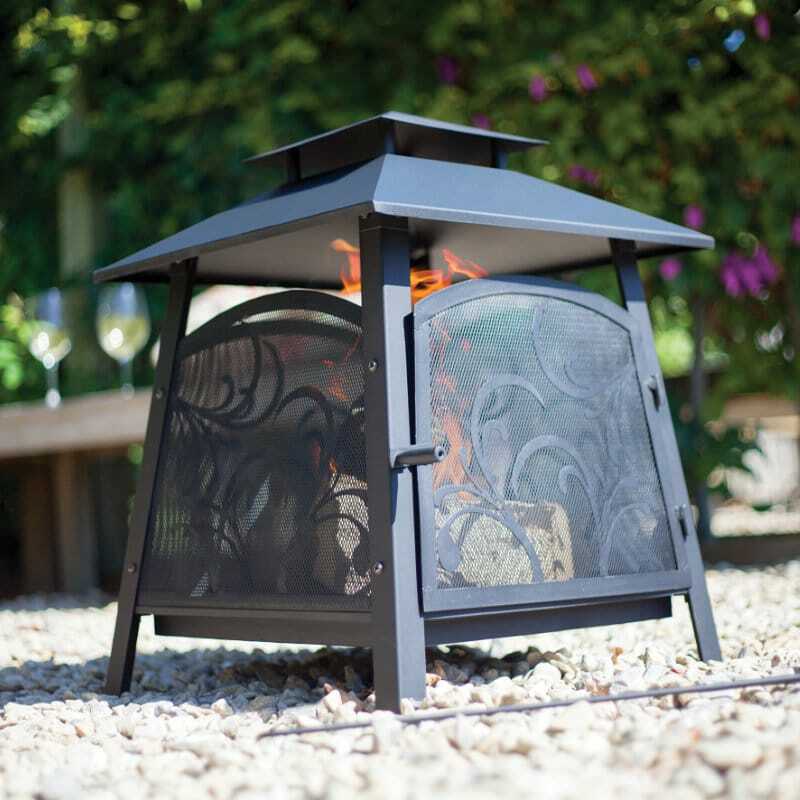 Keep warm in the fresh sea breeze during the day into the night with our bright, attractive and decorative Swirl outdoor heater.